Our patients enjoy comfy pillows and blankets during their dental appointment. We provide Oyster Creek Dentistry patients with their choice among thousands of movies and TV shows to watch via Netflix. Here at Oyster Creek Dentistry, we listen to you to determine your goals in order to arrive at a treatment plan that fits your budget and keeps you healthy. We value our patients' time; rarely will you have to wait past your scheduled appointment time. 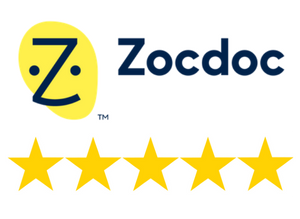 We are humbled and honored to have received so many 5-star reviews on Google, Facebook, and ZocDoc. That feedback energizes us to continually deliver unparalleled levels of service to our dental family. Don't want to listen to the sounds of dentistry? No problem. Listen to your favorite Netflix movie or TV show on our wireless headphones during your appointment instead!